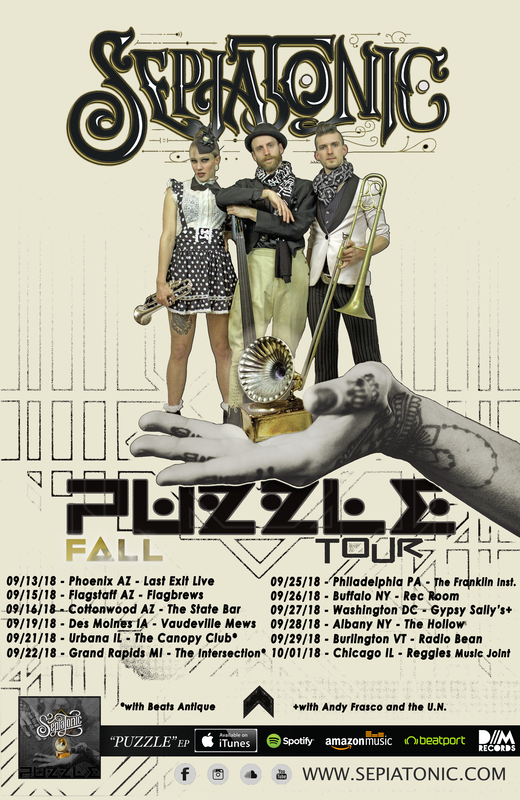 ​﻿Portland, Oregon's electro-vaudeville experience! 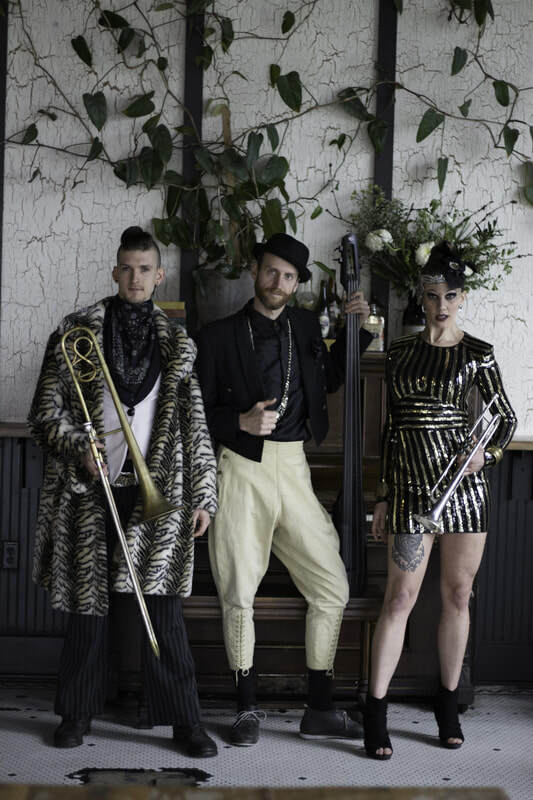 Having looked back in time to the historic roots of vaudeville, and forward to the booty-shaking horizons of electronic dance music paired with big brass, Sepiatonic has found a home in the junction of both worlds. Belly dance, larger than life characters, and more brings to life the soundscape of original and live music on stage. Sepiatonic is a vaudeville-inspired dance and music experience. Some parts theatrical show, some parts wild dance party, this project always brings innovative audio and visual entertainment! 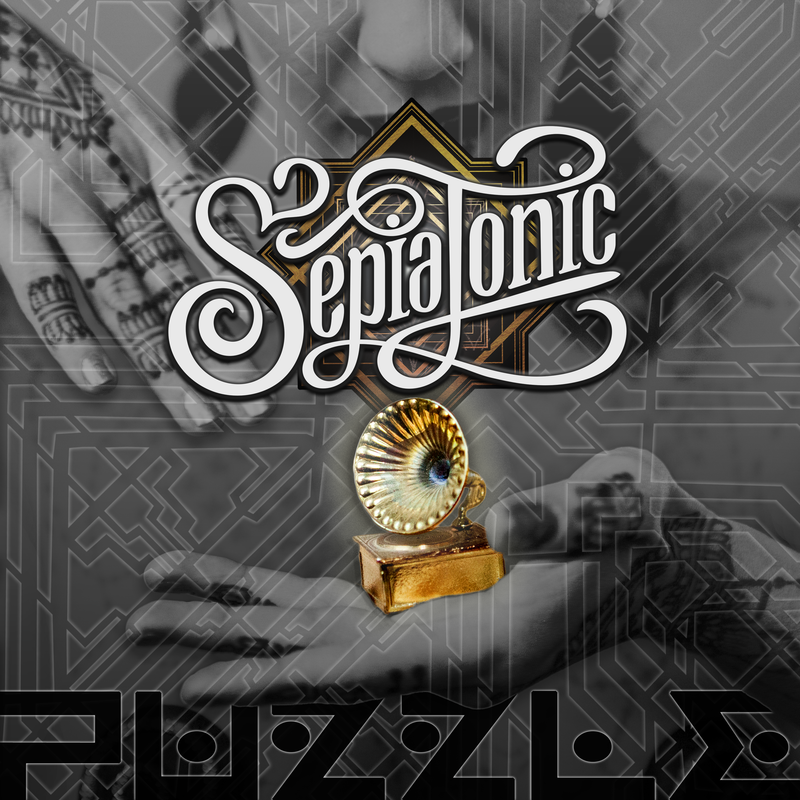 Sepiatonic boasts an arsenal of world-class visual entertainers, who pack a powerful show, with or without live music from the band. NEW EP RELEASE, "PUZZLE", COMING APRIL, 2018! EEK! It's almost here! Our newest creation of beats, brass, and bad*ssery....featuring sultry vocals, raps, high-paced audio debauchery, horns, house, electro-swing, and surprises you will have to explore when our baby is born! CATCH US ON OUR TOUR WITH OUR NEW AGENCY, MADISON HOUSE!